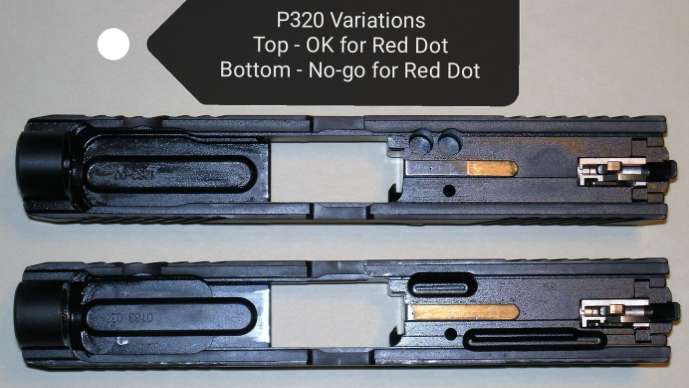 I'm a bit confused about having my P320 Compact/Carry which I recently purchased as a CPO from Sig milled for a Romeo1. One company which I found was Sas Tactical. He has a picture of a 'go-no go'on which slides can be milled and which can't. Can anyone confirm based on the picture of mine if a Romeo1 can be milled or not? Based on the photos, I'd say no.